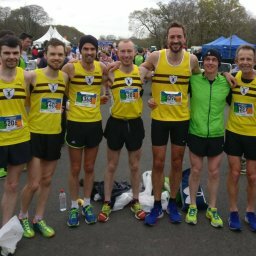 North Belfast Harriers were representing in multiple events this week. 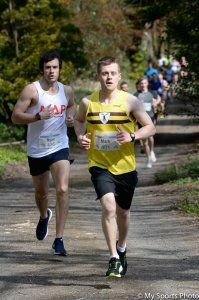 Race was held in Castlewellen forest park and was over 4.7miles with 1080ft climb. This multi event Athletics serues took place at the Mary Peters track, Belfast. In the 1500m race for the U17 and Senior Men, Andrew Milligan won the race. 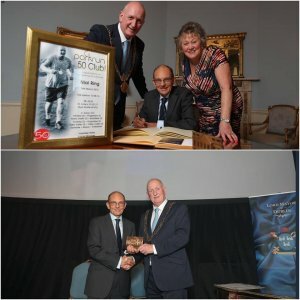 The Lord Mayor of Dublin’s Awards has been honoring individuals and groups who have made a special contribution to Dublin and its citizens since 1989. parkrun Ireland was honoured with a Lord Mayor Award at a ceremony held at Dublin’s Mansion House where Matt and Ruth Shields accepted this great honour. 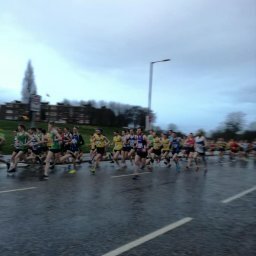 There was a half marathon, 10K and 5K challange at Glenarm in the scenic Glens of Antrim. Mark McAvoy was the third finisher in the 10K. 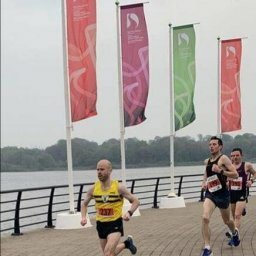 Half marathon and 10K run at Hollywood exchange, Belfast. Kent Swann was the second placed runner. 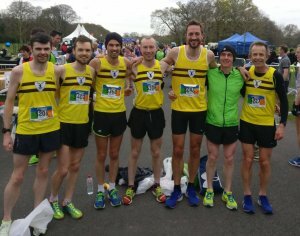 The North Belfast Harriers Senior team won 2nd place with a gross time 2:09:31.Conan McCaughey was the fourth placed finisher. Gareth Lyons was 2nd Male 40 category. Eamon White was 2nd Male 50 category. David Clarke was 2nd Male 55 category. Stella Harrison ran the event which put on as a long run before Belfast Marathon. Matt Shields paced at 3:45 marathon pace and Philip McIlwrath paced at 4:45 marathon pace over the 19.6mile distance. 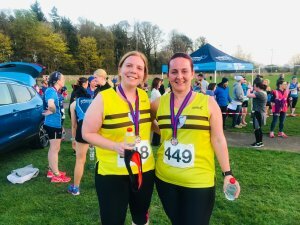 Congratulations to Laura Connolly, Paul Horan and Helen Weir on achieving parkrun PB’s this week.